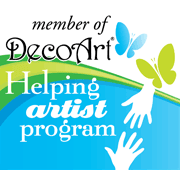 Hear-ye, Hear-ye….Decorative Painting Classes now in Tamaqua PA! This has been on my ‘wish-to-do list’ for a while now (but timing is everything), To create a place to gather, learn, create, share and paint together, with the emphasis on learning and sharing in an Artful place with continuing classes in our own Community! Welcome to ‘Brush~n~Hand’ Studio at the Tamaqua Community Art Center. What better place than at our very own Art Center! Back in 1990 ~ Every week on a Tuesday and for many years following, I took Decorative Painting classes at ‘Brushstrokes’ in Palmerton, Pa with my friend Tracy. It became not only a place to learn and share, but to grow friendships….GOD was planting seeds for my Artful journey. During this time of learning and growing I could not get enough brushes, read enough magazines, visit enough shops, take enough seminars, buy enough books and patterns, travel enough to conventions and meet enough like-minded folks…..I became passionate and driven. It was sad when ‘Brushstrokes’ closed its doors, I missed the every week classes to paint, learn and connect with folks. I still continued on my Artful journey creating and connecting where-ever Deocorative Painting could be found in hopes to find another place to connect with Painters weekly. My friend Tracy has often said….’I miss carrying my painting bag’ ! The world needs more of this today ~ to slow down and take time to Gather and Enjoy and Learn….and be together. Fast forward……the Tamaqua Community Art Center opened in our hometown, five years ago. I mean really…. this was going to be awesome (no brainer)! So off I went to present Decorative Art to the Director Leona Rega, confident with 30 years experience. We started with introducing Decorative Art thru Colored Pencil Workshops, then developed Chalkboard Art ‘Chalk and Chew’ Workshops and tossed in a few quick Acrylic Workshops too….all the while finding creative folks, them finding me, building and growing in our Community over 5 years….. needing to take the journey and scattering the seeds to grow in our Community. It is now time to introduce Artful Learning, Decorative Painting style, in continued classes…and ‘Brush~n~Hand’ Studio was created! Are you ready to join us ~ Tamaqua PA? Are you ready to learn skills to paint on your own? May I reserve a seat for you? Are you ready to invest in yourself? This is hands on, at a relaxed pace, to learn ~ unlike Entertainment Art that has gained popularity in the past decade….come experience, learn skills and grow as an Artist! We will begin with ‘Merry and Bright’ Cookie Keepsake Box…creating together from an unfinished piece of wood to a keepsake you will want to share (or keep)! Imagine that…. learning to create shiny candy canes and fabric folds hands on! Learning how to read a pattern to create from many Decorative Artists! If you are a beginner….YES, you can learn to do this! Learning as we go about brush care, preparing a piece of wood for paint, how to use different surfaces, making it yours…..and more and more and more. This pattern is a little different then all the others….it is written with the beginner painter in mind….with a few extra tips and advise and links to visit. Experienced Decorative Painters are also Welcome…relax and enjoy! If you would like to join us, drop an email to classicamyjoanne@gmail.com for information and a list of supplies to bring along. You can also find the information thru this link. These classes are offered at a really good price, $20.00 per nite, it is a little way for me to give back to my Community …..I hope you will consider joining us, 5 seats remain! …and to all my far away painting friends, the pattern will be available in September. Keep a watchful eye, I will update the blog and annouce on Facebook! Some have asked how they can stay connected to Classic Amy Joanne. Are you my FaceBook Friend? Request my friendship. if you are local…join the monthly e-news blast…..would you like to sign up? 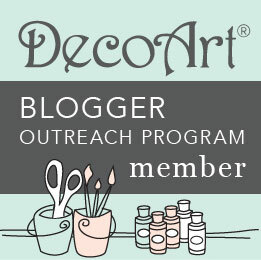 or simply add your email to the blog page of this site and click follow! Hi Amy, I love your blog. But most of all, I love your enthusiasm in teaching people like me how to gain confidence in myself to even try to do such art. Thank you from the bottom of my heart. You have no idea what you brought me out of.. What a testament for us both. I love it. And now i feel a purpose. Christmas blessings to you and Jerry. Love this! I will be waiting to purchase the packet ! Thank you! I just listed the packet on the pattern page….Enjoy! Sounds like such fun! Wish I lived there. Thank you Darlene! We certainly have been together for many of those 30 years! I have the best painting friends! Good luck with you classes. I love this piece❤️ Too bad it is such a long commute from Northern Michigan to Pennsylvania as I would love to be in one of those 5 remaining seats! Looking forward to getting the pattern in September! It’s only a 10 minute ride Vera, lol! It would be wonderful if we could all paint together some day! Thank you! Hi Effie! It should be an easy flight, lol! Would be fun to create together! me too! Imagine all of us painters together! So glad that you are keeping decorative painting going one person at a time. I hope they find the joy in painting that so many of us have. …always fun to find new painting friends!